We bring you the Gathered Garden. 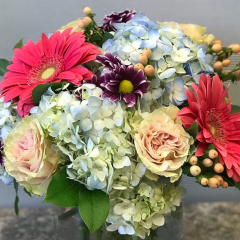 This design features Gerbera daisies, hydrangea, roses, hypericum and carnations along with mums all arranged in a glass container. 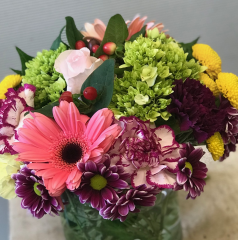 This is a long lasting arrangement. 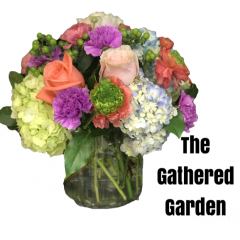 On mother's day, the content will vary depending on available fresh flowers.